Our new website is designed to provide you with a maximum of information concerning projects, integration of technologies and project management in the fields of infrastructure, civil construction, urban infrastructure works, and erection of large-scale engineering projects. 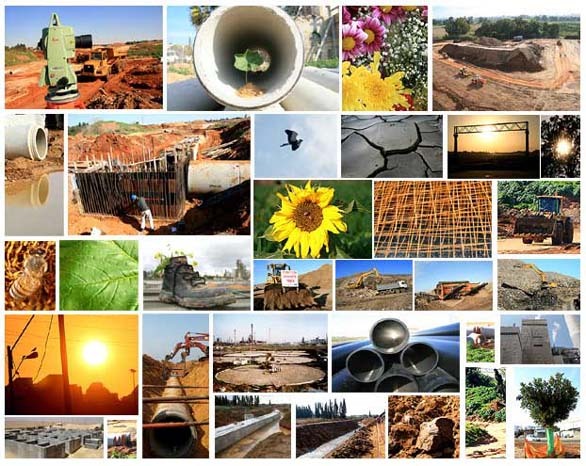 Ram Handasa is under the management of Yossi Melamed, a civil engineer with over 30 years of experience. Our management staff includes a team of professional project managers, engineers, site managers and certified supervisors. We also work with various sub-contractors of different fields. We hold a wealth of experience in executing complex and specialzed civil engineering works on a large scale. Ram Handasa works all over Israel, our primary operations are implementing projects for the public sector. For instance: Israel Railway, Israel Ports, The israel Electric Co, Municipalities ect. Our main offices are located in Azur, Israel.